Look out everyone. Simon Cowell and his X Factor Team just found a 13-year-old female singer that is absolutely destined for stardom. On Thursday evening, an unassuming and very sweet Carly Rose Sonenclare glided on stage and gave a performance of Nina Simone’s/Michael Buble’s “Feelin’ Good that sent shivers up my spine. To hear this rich deep soulful voice come out of this shy, adorable girl defied logic. I though I was dreaming. This performance was one of those “out of body experience” moments. Just when you think you have heard and seen it all, this young girl proved that there is room for one more exceptional talent in the music industry. However, according to Newsday.Com, the young lady has considerable performing experience which would explain the high level of confidence in her performing ability. Nevertheless, she is an undiscovered talent and deserves to propel her performing experience to a loftier level. And The X Factor is definitely doing that! Somewhere, David Foster is chomping at the bit. This is his kind of talent – one of quality, refinement, youthful yet sophisticated. He could weave some wonderful magic with this talented young lady’s unique vocal talent. But now she belongs to Simon Cowell and you can bet she will be the favorite to win this season. Or one of the favorites. All I know is that right here and now, she is my favorite. If I can find a video of Carly’s Thursday audition, I will post it at the end of this article ASAP. What did you think? Are you loving this young lady? How about The X Factor? Are you loving the addition of Britney and Demi? MCL, Wow I so agree!! This young women is amazing, tone, range, soul, she has it all as well as being likeable and owning the stage. I am very impressed with Emblem3 as well. A few others too. XFactor has some good talent and it has a fresh feel unlike Idol. I am enjoy Demi as a judge. Brit not so much. Simon as always is the best! Aubry – absolutely. This girl is phenomenal. And there is indeed someincredible talent this year. It does feel fresh, doesn’t it? The candor among the judges is a nice change. The AI judges need to remember this. So much of what the judges say sounds scripted and tired on AI. Aubry, MCL, I was lucky enough to attend the auditions in SF and saw Emblem 3 perform. They were one of the first contestants to hit the stage and the audience, as did I, loved them immediately. Unfortunately, my DVR messed up and I couldn’t watch the show last night. I just finished giving this sweet young lady Carly Rose a standing ovation! Such heart and soul with tremendous talent and poise for a young lady. Great talent is hard to find……..I hope many will appreciate her and cultivate the star that within. Will be watching her for a long time. Simon gave her 4,833 yeses…make that 4,834. She gets one more from me Thanks for the heads-up, MCL! She was absolutely awesome!! It almost looked like she was lip-syncing! I don’t who else is there that we haven’t heard but as far as the kids acts, this girl is definitely going to give them all a run for their money. Unbelievable !! First off….YES this young lady is a person to follow, she has a beautiful young tone to her voice, she is fresh!! I am enjoying both of the new judges. Great choice. Yes, she is a star. The sky is the limit for her. I went to see Dream Girl with Jennifer Hoilday. When Jennifer song everybody was standing, clapping, cheering. I saw the same thing when Carly Sonenclare singing. The girl got the it factor she beyond X. Wow!!!! She is beyond amazing. I got chills too!!! Beautiful voice & her song choice was spot on. She made that song, which has been performed by everyone under the sun, including Adam Lambert, totally her own. Well done, Carly, can’t wait to see what you do next!! I have not been watching X-Factor at all. I’ll have to check her out on YouTube. Time for a real vacation. Take care, everyone! Hugs for your little ones, Rosanne! WOW — this girl is really fantastic. I am not watching X-factor, but after reading this I found the video on you tube. This girl is fantastic – voice, phrasing, expression. Fabulous. 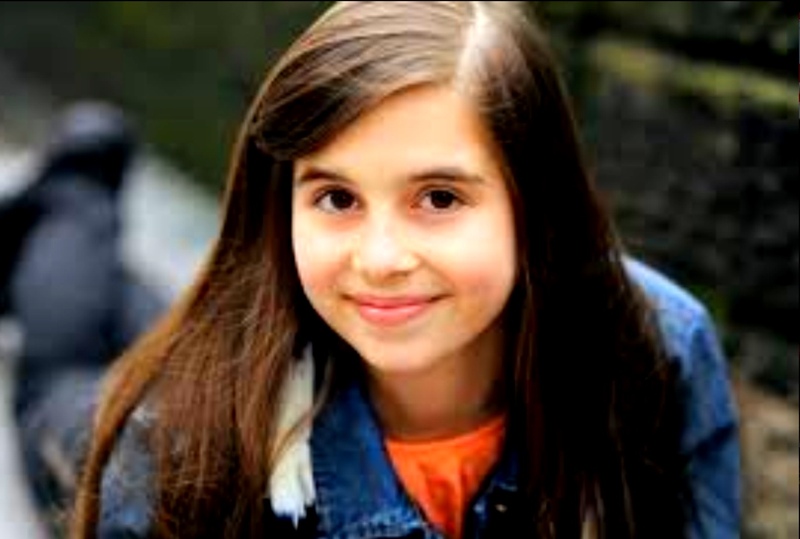 Looks like Carly Rose is well on her way with a professional career . . .
Keep David Foster and his OVERPRODUCED mehods away from this unbelievable talent. Carly Rose is amazing and I felt the same way about Bianca Ryan. Could not wait to buy her first CD. I could NOT get past the obvious David Foster fingerprints. So overproduced it is not worth listening to. Bianca’s CD is now in the “donate” box. Carly Rose deserves more. my favorite as well. as for David Foster, yes he is talented! but he slows his productions to a point that they become boring. He manages great talent. i buy the records, and find myself wishing they were a couple of beats faster. I’m no kid. but come on!! I wanna tap my feet not roil in my wheel chair!!! Mahaney. – welcome. I love David Foster and his arrangements. They are quite varied, actually. Listen to Michael Buble’s CDs and you will see that the arrangements are quite unique and always interesting and entertaining.